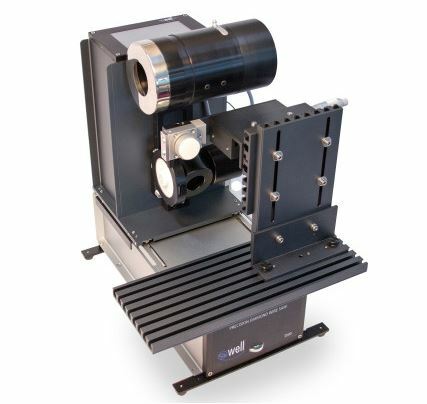 Emgrid Australia is able to offer a range of diamond saws for precision cutting of a wide variety of materials, including mineralogical sections, embedded tissue, teeth, bone, semiconductors and other embedded devices. Low speed saws cause minimal damage and deformation of the sample and are particularly suited to fragile or soft materials. A vertical precision diamond wire saw can cut virtually any type of material, using its unique diamond impregnated wire. It is ideally suited for cutting and slicing fragile materials including intermetallic crystal structures, semiconductor substrates with multiple layers, delicate electronic components and items which would be damaged using other methods of cutting. 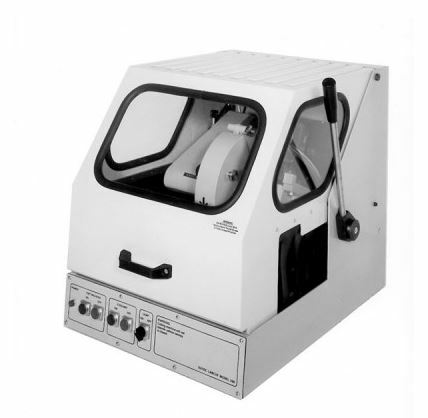 Also available in the range is a medium duty, bench top abrasive wheel cutting machine ideal for sectioning ferrous and non-ferrous materials prior to metallographic specimen preparation. The Labcut 250 is a medium duty, bench top abrasive wheel cutting machine ideal for sectioning ferrous and non-ferrous materials prior to metallographic specimen preparation. The Labcut 250 is a medium duty, bench top abrasive wheel cutting machine ideal for sectioning ferrous and non-ferrous materials prior to metallographic specimen preparation. The cutting head can be fitted with abrasive wheels up to 250mm diameter, aluminium oxide for ferrous and silicon carbide for non-ferrous metals. The powerful 3 phase 2.2kW motor operates at a speed of 4000rpm. 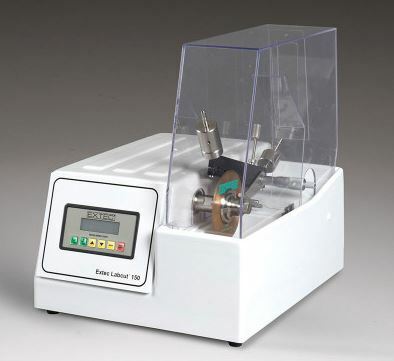 Two quick lock vices with 65mm capacity are included for clamping the sample. The safety interlocked guard is easily raised to give access to the work table and the flexible rubber sides allow long lengths of bar to be sectioned. The AGB8500 WELL Vertical Diamond Wire Saws produce smooth, sharp-edged surfaces on virtually any material. The ‘cutting tool’ is a stainless steel wire with diamonds embedded into the surface of the wire using a patented embedding process, ensures maximum cutting capability and long wire life. The wire is wound onto a drum mounted onto a precision reciprocating motor.